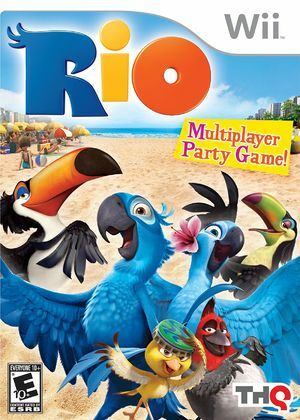 From the makers of the hit Ice Age series comes Rio, a 3D comedy adventure about Blu, a rare domesticated bird who travels to the exotic land of Rio. In this multiplayer video game, Blu goes on the adventure of his life, with the help of his female counterpart, Jewel, and a group of wise-cracking and smooth-talking city birds! Blu and his new friends journey through Rio, dodging soccer balls, collecting tropical fruits and soaring across the beach. He participates in amazing games and ultimately, forms a conga line and dances his way to first place at the Carnaval ceremony. While the main character is Blu, players will also have a chance to play as the other characters from the movie in this multiplayer party game! The graph below charts the compatibility with Rio since Dolphin's 2.0 release, listing revisions only where a compatibility change occurred. This page was last edited on 14 January 2018, at 12:27.